Emmanuel Macron replaced the French envoy to Hungary, who said that Budapest is “a model” for dealing with migrants and claimed that true anti-Semitism comes from French and German Muslims. The Elysee was shaken after Mediapart investigative journal leaked a confidential note from Eric Fournier who served as French ambassador in Budapest since 2015, to Macron’s office. He criticized ‘magyarophobia’ (the word ‘Magyar’ refers to the Hungarian people) in the media, adding that these attitudes are being fueled by campaigns of Hungarian-born US billionaire and philanthropist George Soros. Macron hurried to state that the note doesn’t represent France’s policies and condemned Fournier’s remarks in the strongest terms. “Had this ambassador said this publicly, he would have been dismissed immediately,” he told a news conference in Brussels. Pascale Andreani was quickly named as the new ambassador to Budapest to replace Fournier, Legifrance, an official website of the French government, stated. The Orban-praising official will “take on other functions,” the statement adds. 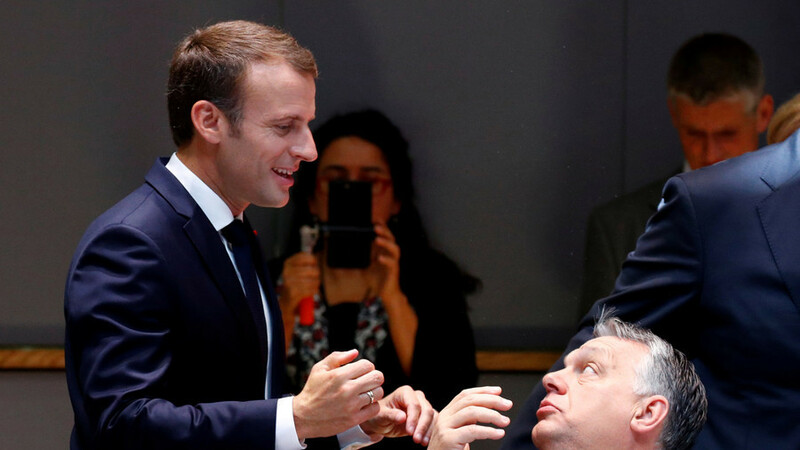 In summer 2017, Orban and pro-EU Macron – who was just then ascending to power – were engaged in a verbal slugfest over migrant policies. The French leader slammed Eastern Europe for a ‘lack of solidarity’ and ‘cynicism’ in dealing with the refugee crisis. Orban, a harsh critic of migration and mandatory migrant quotas, has repeatedly cast doubt on the validity of the migrants’ humanitarian plight. He once called asylum seekers “a Trojan horse for terrorism” and branded refugees as ‘Muslim invaders’ seeking better lives. He repeatedly slammed Germany and Chancellor Angela Merkel’s ‘open-door’ policy towards asylum seekers.